Born in D.C. and educated in the public schools. From 1880 to 1912 Miss Beers taught in the Wallach School on Pennsylvania Avenue S.E. and in 1894 was promoted to principal. In 1912 she was promoted to supervising principal of the schools of southwest Washington and held that position until her retirement in 1926. 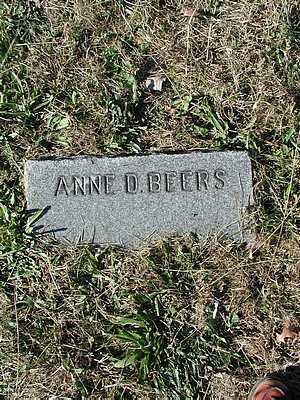 Anne Beers was a leader among the teachers of the D.C. public schools. She worked diligently, together with Adelaide Davis and others, for passage of the teachers’ retirement law which was enacted in 1920. At her retirement January 3, 1926, Anne Beers had served in the D.C. public schools continuously for 46 years. 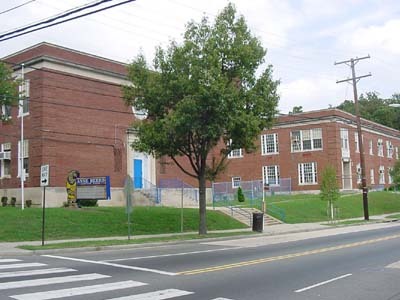 The school was originally an all-white school in a segregated school system. Today the school is predominantly African American with very interesting music and science programs. The science program is affiliated with the Goddard Space Flight Center. The first addition was made in 1949. The addition shown here was added in 1967. 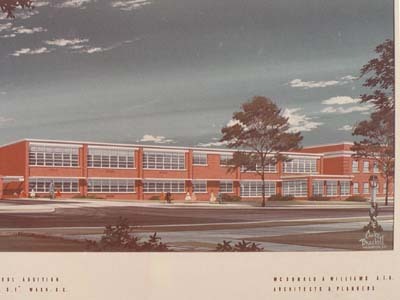 Architect: McDonald A. Williams, A.I.A.